Booking is essential. Please note that due to high demand, availability is limited over the Christmas & New Year period. 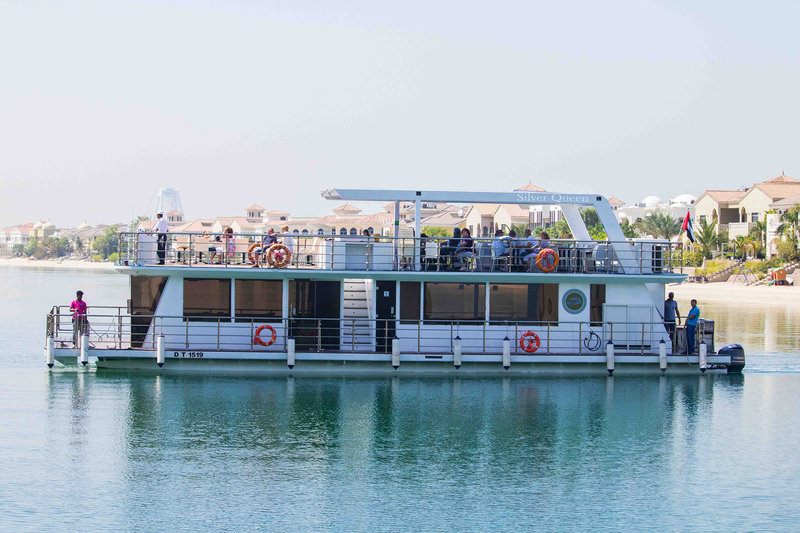 A unique tour that will give you the opportunity to discover the inner beauty of the Palm Jumeirah. As soon as you leave the West Marina, the excitement begins. Pass by incredible beach properties and experience the stunning man-made creation of Palm Island. Not only will you be able to capture unique photos of the island from this perspective but you will also be able to learn about the construction and the background of the Palm. The Inner Circle Palm Tour, gives you the exclusive opportunity to discover the inner beauty of the Palm Jumeirah like never before. After leaving the West Marina, strap yourself in for the excitement, which begins with the 8th World Wonder, passing close by the beautiful Beach Properties of the first Frond. This 60 minutes tour will take you exclusive inside the 8th world wonder and give you a glimpse of its size & beauty. Besides taking breathtaking pictures you will also find out everything about the insights and facts of the construction and background, especially, why the Palm has been built in the first place. Taking Metro till Mall of Emirates metro station and from there you can take a taxi to Palm views west palm Jumeirah. Getting to the Inner Circle Cruise is straightforward the Metro line or taxi. Whichever you choose, remember to arrive at least 30 minutes before the cruise sets off.